This portable, refillable Bunsen burner features a tripod stand. Lay the unit sideways to use. 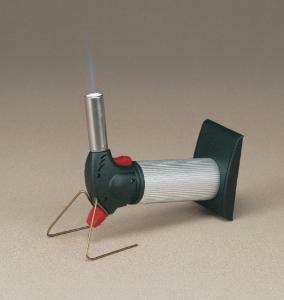 The maximum temperature of this burner is 2500°F. It burns as long as a one-pound propane tank does.